Mariela Estrada, immigrated to Chicago at the age of three, raised on the Southwest Side daughter of immigrants. Was a community organizer for 8 years in a community-based organization. 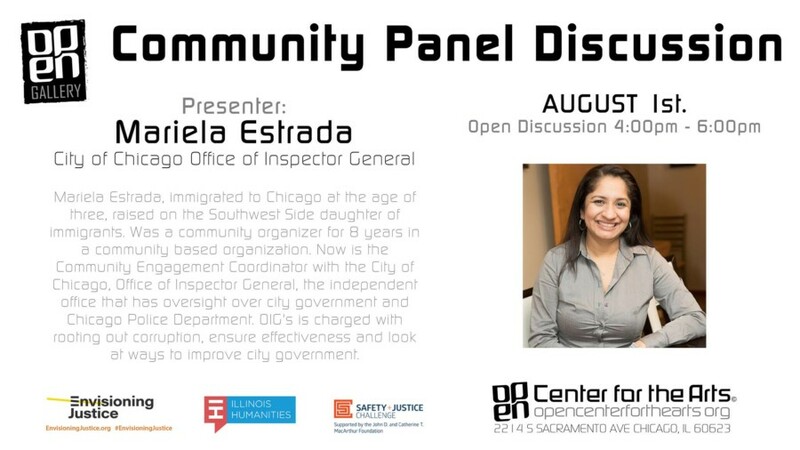 Now is the Community Engagement Coordinator with the City of Chicago, Office of Inspector General, the independent office that has oversight over city government and Chicago Police Department. OIG’s is charged with rooting out corruption, ensure effectiveness and look at ways to improve city government.